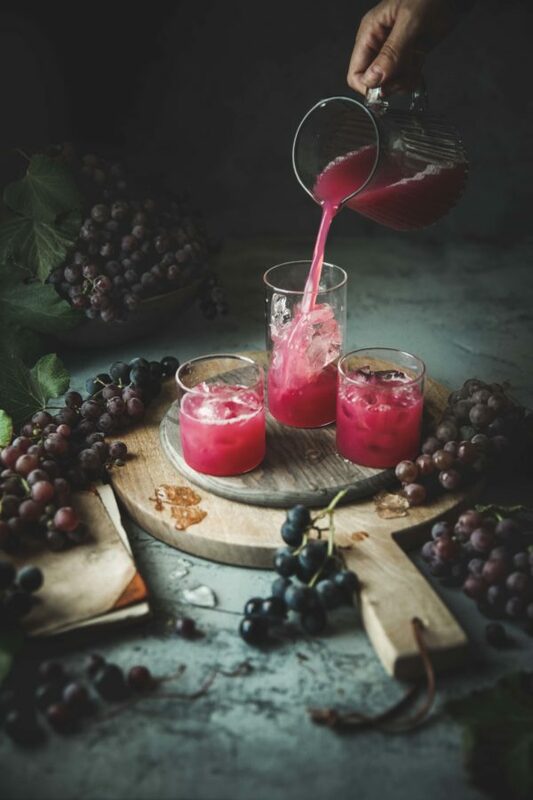 One of things I look forward to most come fall is visiting a vineyard in the valley, picking loads of grapes, and then making my own grape juice with them. I don’t but juice from the store almost ever, so this time of year is when I make our grape juice for the year. Not that it ever lasts that long. I have to say, I find homemade grape juice to be utterly superior to store bought. 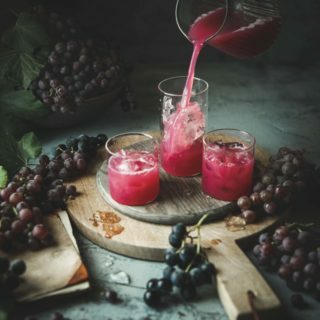 One reason being that you can use so many different varieties of grapes to make your juice and some types of grapes make juice that is down right MAGICAL. My favorite varieties of grapes to make juice with are Reliance and Himrod. Reliance are a pretty purplish/pink table grape (pictured here) which are super sweet and therefore require no added sugar . 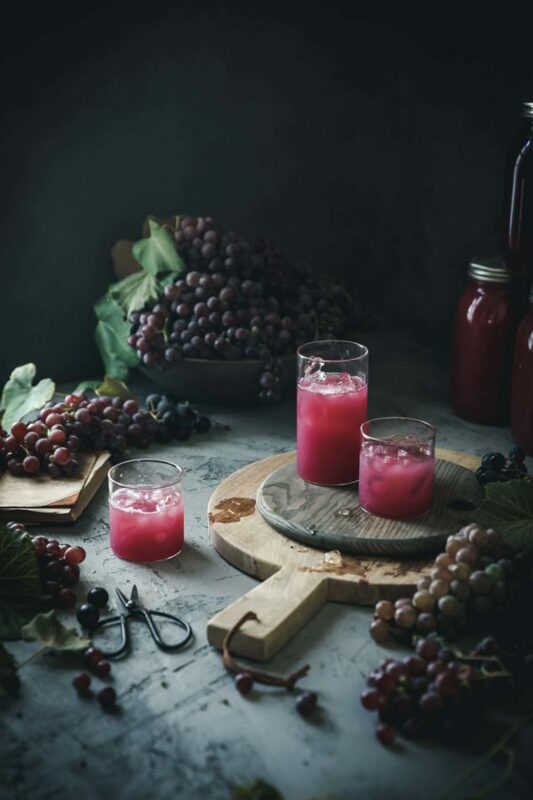 The juice from these grapes turns out a gorgeous dusty pink shade and has a sweet, somewhat floral flavor. The Himrod are a white wine grape and make INCREDIBE juice which, like the Reliance, is sweet enough that it doesn’t require added sugar and ends up the prettiest champagne color. 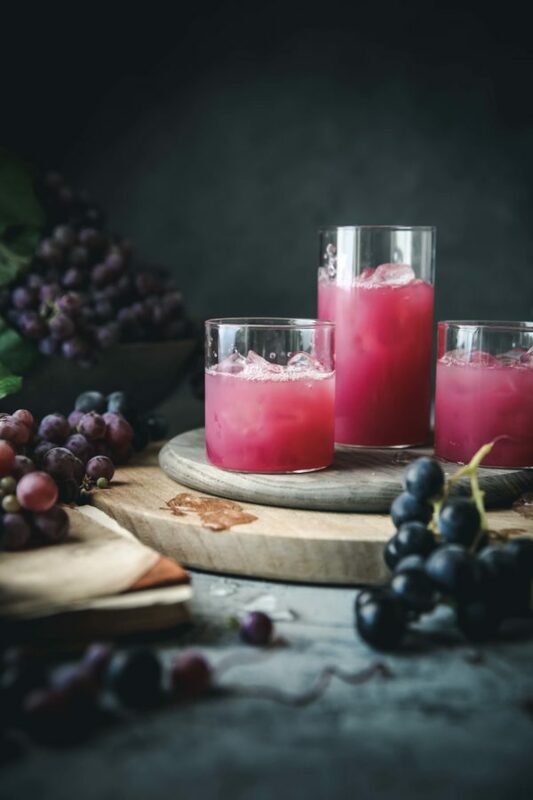 Concord grapes are definitely a more familiar type of juicing grape with a distinct flavor and dark purple color. While I like the Concord, it’s not a favorite simply because I find it needs so much added sugar to be sweet enough to drink. The second the earth thaws out this coming spring I plan on planting my own grapes. Four rows. One Reliance, one Himrod, one Concord (maybe), and one Muscat. Let me know in the comments if you have another favorite type of grape to grow that I haven’t listed! I would love to hear of other wonderful varieties that I haven’t met before. 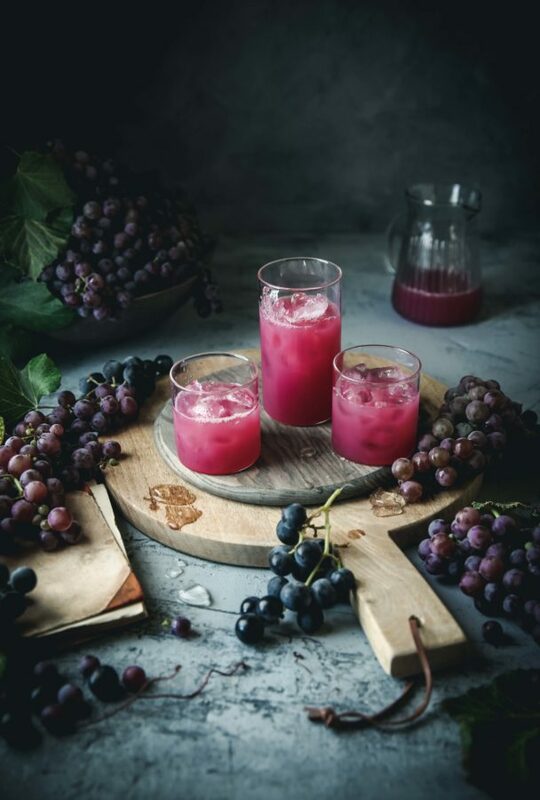 When it comes to juicing fresh grapes, you can use one of two methods. The first method is one that I used to employ before I knew of the second method, and it works well, although it takes more patience and muscle. You simply wash your grapes and remove the stems, then place in a large stock pot. Cover the grapes with water and bring to a boil. You’ll then need to smash them down to break them up ( a potato masher works well for this) and then simmer for a little bit to full release the juice. 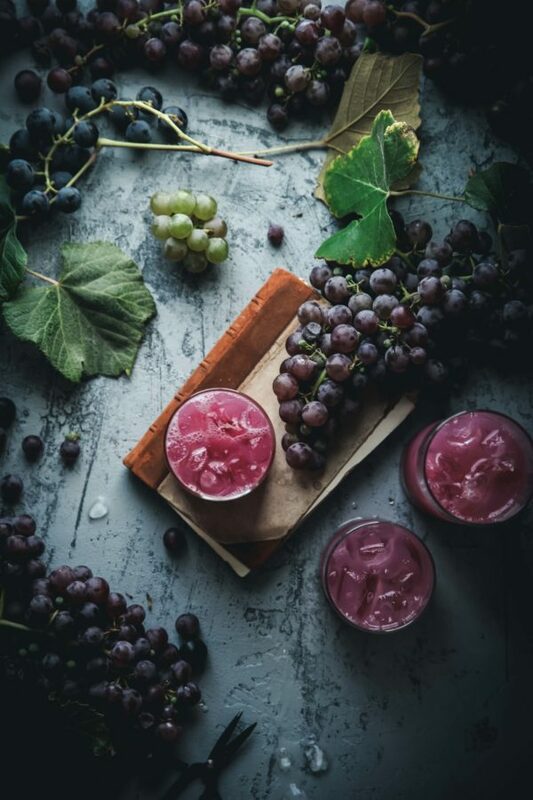 The grapes are then pushed through a fine mesh sieve (or juice strainer or cheesecloth or nutmilk bag) and the solids are discarded and juice is bottled. The second method is one I only started using this year and it is GLORIOUS. STEAM JUICER, friends. I so wish that I had bought one of these years ago. Using this really took most of the hard work out of the process and produced fantastic results. A steam juicer is made up of a bottom pot that will house boiling water, a second pot that sits on top of that boiling water and allows steam to rise up through a cone in the center. The top pot sits on top of that middle pot and sports small holes around the sides and bottom. This pot holds that grapes and the steam rises up from the bottom, releases the juice from the grapes in the top pot and that juice drips down into the center pot where it collects. The center pot also has a tube that you can drain the juice into jars with. I love this method because you don’t need to remove the stems from the grapes which makes prep a breeze. You also don’t need to expend all of your energy pushing the grapes through a sieve to extract the juice. The steam gets most of the juice out of the grapes so it’s really a pretty clean process. Below I’ll link to the juicer that I bought. It worked very well and I can’t wait to make more juice next year! 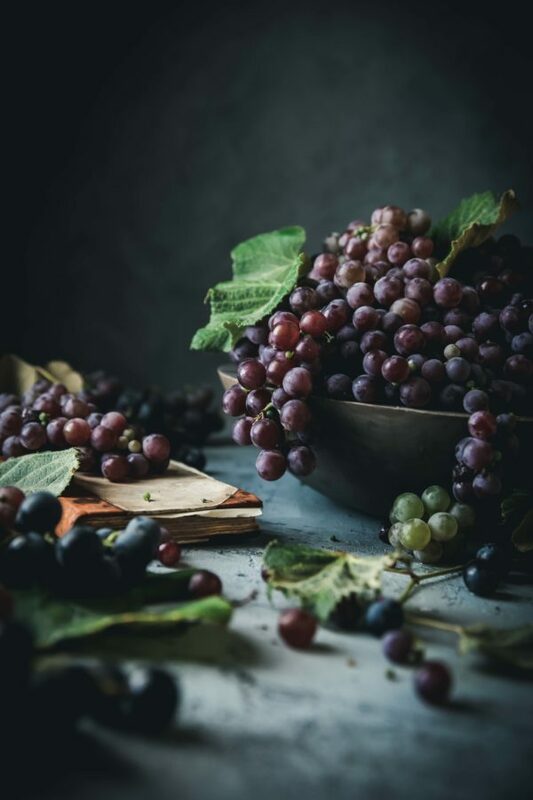 Place grapes in a stock pot and fill with enough water to just barely cover the grapes.Bring the grapes and water to a simmer. 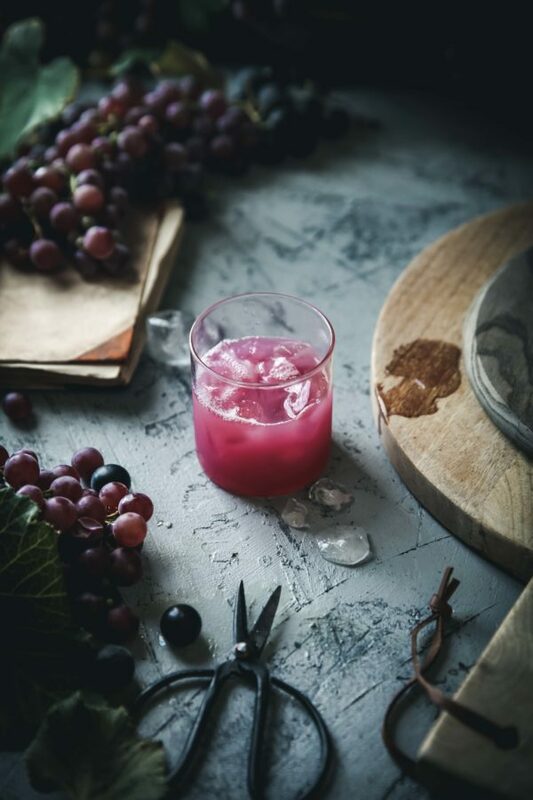 Using a potato masher or similar tool, smash the grapes down a bit to allow better juice extraction. After crushing the grapes, simmer for another 10-15 minutes. Once the grapes are broken down and very, very soft, remove from heat. Run the grapes and liquid through a fine mesh sieve or juice strainer, collecting the juice in a container and discarding the solids. Rinse grapes well and place in the colender portion of a steam juicer - stems can be left on. Fill the bottom pot of the steam juicerwith water to one inch from the top of the pot. Place on the stove over medium/high heat. Place the center pot on top of the bottom pot, and then place the top pot filled with grapes on top of the center pot. Cover with a lid. As the water in the bottom pot starts to boil, steam will release the juice from the grapes and will begin to collect in the center basin. Fully extracting the juice can take about 45 minutes to an hour. Make sure that the water in the bottom pot doesn't dry up or you will damage your juicer. I used my juicer for about an hour to make each batch and I never used up all of the water but you'll want to be aware of this. Depending on how high your heat is, water will evaporate at a faster rate. 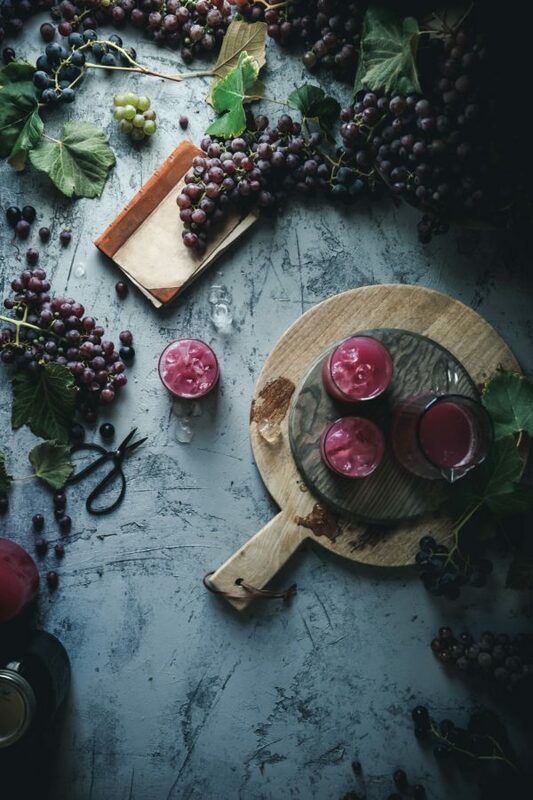 Once the juice has been fully extracted from the grapes, the solids in the top pot can be discarded and the juice in the center pot can be bottled. To get clear juice, some people like to pour their juice into bottles and let them sit for 24-48 hours. 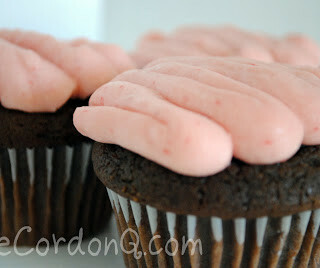 This allows the sediment in the juice to settle to the bottom. Once the sediment has settled, the clear juice is poured into another container and brought to a boil for canning. The sediment is discarded. 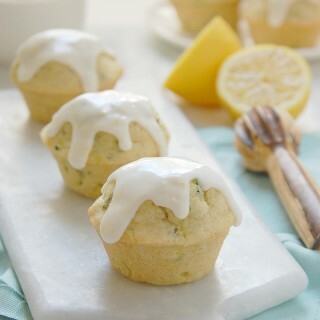 I don't do this as it isn't necessary and I don't mind a cloudier juice. 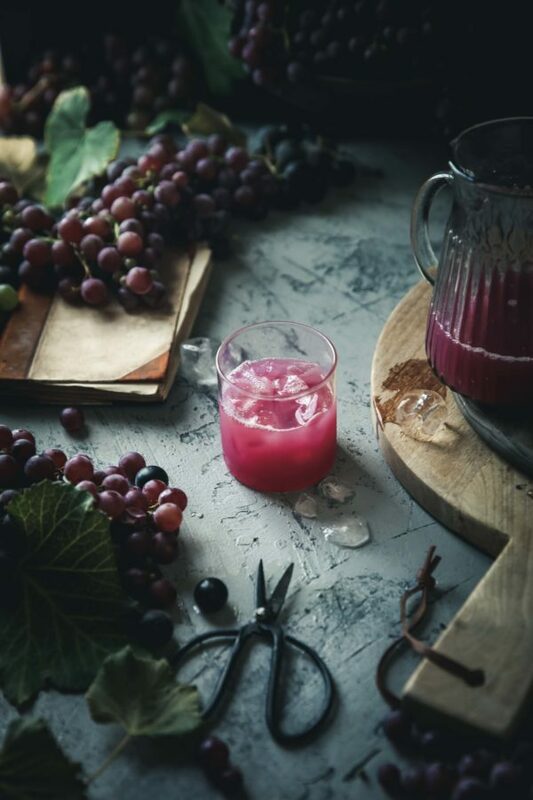 I simply take the fresh juice ( depending on the type of grape used you'll want to taste the juice and add sugar if needed) and pour it into sterilized jars, leaving ¼ inch of space at the top. Top with a new lid and tightly screw on the lid. Process the jars of juice for 10-20 minutes, depending on your elevation and the size of jars that are being used. Store jars in a cool, dark place. They will keep for 6-12 months.